The 2019 Highland Capital Lecture brings together global political experts Ian Bremmer and Niall Ferguson to discuss the most urgent geopolitical challenges of the day. Dana Perino of Fox News Channel will moderate the discussion, which will delve into the panelists’ unique perspectives on today’s global hot spots, including China, Russia, North Korea, and the Middle East. 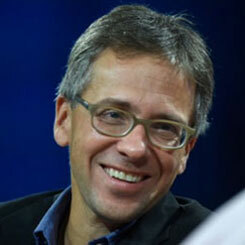 A renowned political scientist, New York Times best-selling author, and columnist at Time, Ian Bremmer is the president and founder of Eurasia Group, a political risk research and consulting firm with offices around the globe. Once dubbed the “rising guru” in the field of political risk by The Economist, he is also a professor at New York University. 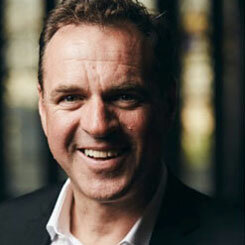 Niall Ferguson, a self-proclaimed “international man of history,” is the author of 14 books and serves as a senior fellow at The Hoover Institution, Stanford University, and the Center for European Studies. His 2011 feature-length film Kissinger won the New York International Film Festival’s prize for best documentary, and his PBS series The Ascent of Money won the International Emmy for best documentary. Dana Perino is an anchor on Fox News Channel and host of The Daily Briefing with Dana Perino. Prior to joining Fox, Perino served as the White House Press Secretary for President George W. Bush, where she was the first female press secretary in a Republican administration. She spent over seven years in the Bush administration working at the Justice Department and the Council on Environmental Policy.